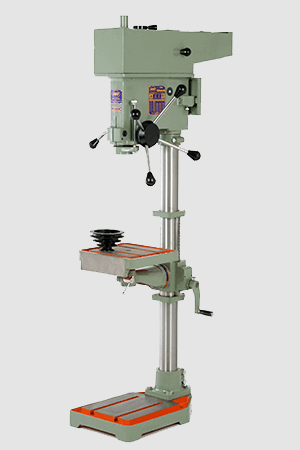 20 MM (3/4") Pillar Drill Drilling Machine Manufacturer Dealer Rajkot, Gujarat, INDIA. 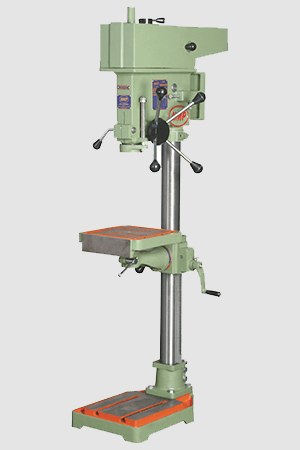 Heena Machine Products – HMP (Rajkot, Gujarat) Working with the support of our knowledgeable workforce, we are acknowledged for manufacturing and supplying 20 MM Geared Pillar Drilling Machine. In most of the Fabrication Units, Small Workshop, Ceramic industry, Construction Sites, Automobile industry, Mechanical Workshop, Sheet Metal Industry, Wood Working Industry, the machine is required for performing drilling of different materials like concrete, stone, Casting, MS, wood, metal sheet and plastic etc. 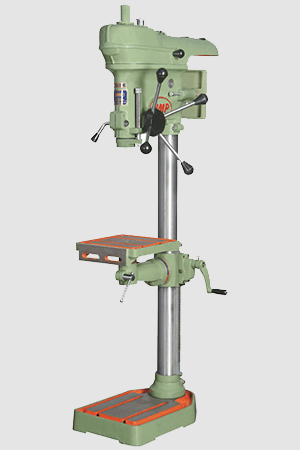 Majority of our clients highly acclaimed this 20mm pillar drilling machine for its durability, high efficiency, reliability, dimensional accuracy and high strength. The rigid structure offers vibration free performance. All the machinery parts are smoothly finished with grinding property in 20mm geared pillar drill machine so as to close tolerance and heighten the overall machining performance. 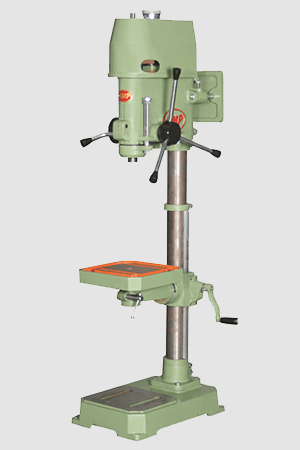 20 MM Geared Pillar Drill Machine is rigidly checked on different quality parameters under the guidance of our professionals.